Gilimbaa is a full-service creative agency specialising in strategic and connected communication. We are driven by the power and process of storytelling and the role this plays in the education and celebration of culture and community. Diversity is not our strength it’s our super power and our team has been formed to bring cultural, design and management expertise into the creative process. Our business is built on the fundamental understanding that innovation comes from collaboration. Gilimbaa’s great joy is forming strong partnerships and working hand in with community to achieve lasting creative impacts. 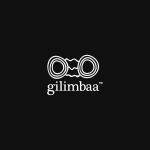 Moving into our tenth year and with an expanding client base, Gilimbaa is looking for a skilled, experienced Senior Account Manager to join the team, make their mark and be part of our next chapter. Working closely with our Studio Manager, our team and our clients, you’ll play a role in delivering some of Australia’s most innovative and creative campaigns. Plan, budget, write proposals, manage and document from brief stage and designs through to workflow, production planning, procurement and full campaign delivery. Find out more about our team and work at www.gilimbaa.com.au and on Facebook. How many years’ experience do you have as an account manager? How many years of project management experience do you have?